Novosbed has been making mattresses for longer than most of the online mattress companies, so I was excited to see what a more experienced manufacturer would make to compete with the new popular brands. 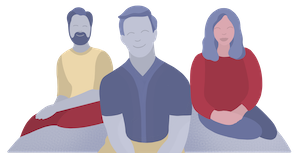 Overall I think they made a mattress that stands out, even in the crazy online-only mattress market, though it’s not for everyone (see how it compares with leading mattress brands HERE). Their firmness guarantee, for example, is very unique and a cool way to make sure you get the right firmness for you. Read my full Novosbed review to see if it’s a good fit for your sleeping preferences. Want memory foam – Novosbed is all memory foam, and high quality at that. Great comfort and support tradeoff, and specs that suggest the mattress will hold up over time (just my guess). Are confused by all the bed-in-a-box options – These days there are hundreds of mattresses with similar branding messages (online-only) and construction. Novosbed has the same value proposition, but from a person that has slept on (nearly) all of the alternatives, Novosbed is definitely top tier. Want great value – Novosbed claims a mattress with similar specs would cost ~$2700 in a typical retail store, and I believe that to be true (or at least close enough). They definitely deliver a great product for the price. Want a firmness guarantee – Novosbed offers to send you an addition to the mattress (no charge) to adjust the firmness of the mattress if you don’t like it. As far as I know, they are the only online company to have this policy. In my mind this eliminates one of the primary concerns of buying a mattress online. Don’t like memory foam – that’s a given, but some of my readers get taken in by a brand even though they don’t like the type of mattress. If you really don’t like memory foam, Novosbed won’t change your mind. 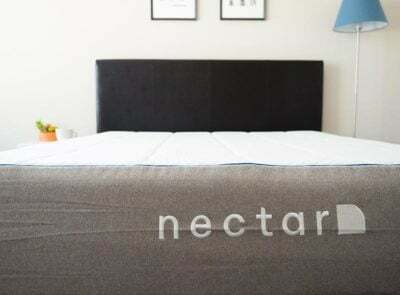 Want a true luxury mattress – Novosbed can compete with mattresses at a much higher price point, but if you’re willing to pay much more ($3000+) there are additional features and touches available with other mattress brands. 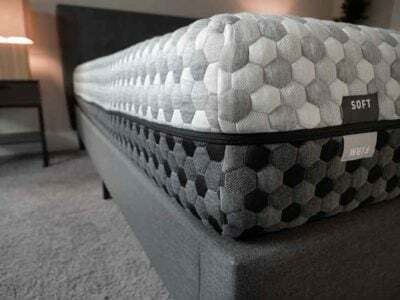 One of the best features of Novosbed is the comfort guarantee – where they will send you an addition (that zips onto the mattress) for free if you don’t like the firmness of the mattress on arrival. 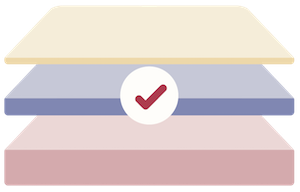 This allows you to make sure your preferences are met by the mattress (in terms of firmness), which is unique in the online-only mattress world. Below I show you the responsiveness and firmness of the mattress. This is the medium firm option, which I’d put at a 6.5 on the firmness scale. Novosbed is high-quality memory foam, so we expect it to perform very well in the motion transfer test. As you can see in the video below, this is the case – thus we think Novosbed is a great mattress for couples worried about motion isolation. 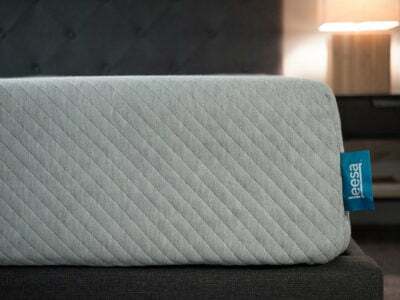 Novosbed is an online-only memory foam mattress targeting the middle-upper end of the market. 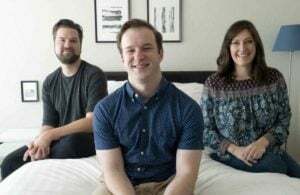 The most unique part of their offering is the comfort guarantee, where they will send you a topper that adjusts the firmness of the mattress if need be. 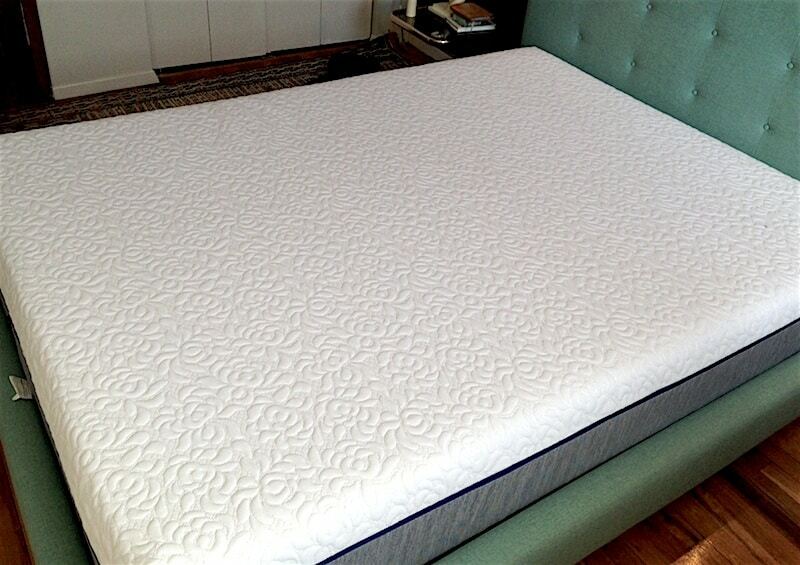 Overall it's a very quality mattress that I think stands out, even in the busy online mattress market. Overall I really liked the Novosbed, with very few complaints. 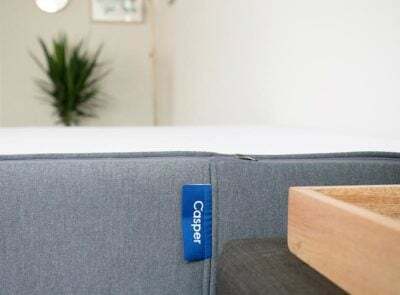 It’s definitely a quality mattress at a great value (towards the top of our mattress reviews list), and I think the comfort guarantee should put a lot of online buyers at ease. If you are looking for a fairly high-end memory foam mattress in this price range, Novosbed is definitely one of the best options available. Usually I don’t read post on blogs, but I wish to say that this write-up very compelled me to try and do so! Your writing style has been amazed me. Thanks, very great post. I bought a Novasbed 3 years ago – and started to regret it 9 months into the purchase. One side of the bed become softer and spongier than the other. There was a line you could feel as you lay on yourback or side where the difference in firmness changed. I contacted Novasbed – and guess what they didn’t want to know. I contacted them again and they said I needed to show them a photo with a difference of 1/2″ in the surface when on the floor. . . which wasn’t visible so I couldn’t do it. I tried again in the middle of 2017 – and they had changed their procedure again with photos of the mattress, the base, the height, and string wrapped across and from diagonal to diagonal. I didn’t expect to see a difference – but on the diagonal photo you can see a 7/8″ difference on one corner. I even took video to clearer show the issue. I also showed a video if a 9lb kitchen bowl (laden with bags of flour and sugar!) and showed a difference in the SOFTNESS / FIRMNESS of one side of the mattress to the other. They responded by saying that my base was the cause of my issues! My base which is flat, firm, consistent and full supports the mattress. I googled – and there is no issue with my base when used with a foam mattress. Go elsewhere for your mattress – there is so much choice at so many price points. Would the Novosbed Soft, Amerisleep Colonial, or something else be the closest to softness of the Tempur- cloud Elite? We have a firm novosbed. For us, it is just too firm and sleeps hot. Due to the fact that there has been a backorder for the comfort plus, we haven’t been able to see if that would help. I am almost at the 60 day mark and will likely try something else. Been waiting for 4 weeks for the topper, now they say it will ship Monday. I’m Andy Prochazka, Co-Founder of Novosbed.com. I have followed you case personally. After hearing from you, we sent you a Comfort+ adjustment kit within 24 hours. Also, Sam, our CEO, reached out to you regarding your experience. If, after you’ve tried the Comfort+ kit, your Novosbed still doesn’t work, please contact us to arrange a free return. I hope the mattress works for you and that we have earned back your confidence in our company. FYI: Due to overwhelming demand in early September, we experienced a delay sending out Comfort+ kits. As of today, we are fully stocked and are back to normal shipping times (Comfort+ kits and the rest of our products usually ship within 24 hours). I am currently shopping for an online mattress. I was looking into getting a memory foam mattress through overtock.com but want to be sure I am getting something of value. I haven’t been impressed with the reviews of the Leesa, Casper, Tuft and Needle, but I kind of looking between tht Loom & Leaf and the Novosbed. I don’t have a lot of experience with memory foam and have come to terms that I need to raise my budget from a few hundred in order to get something lasting. 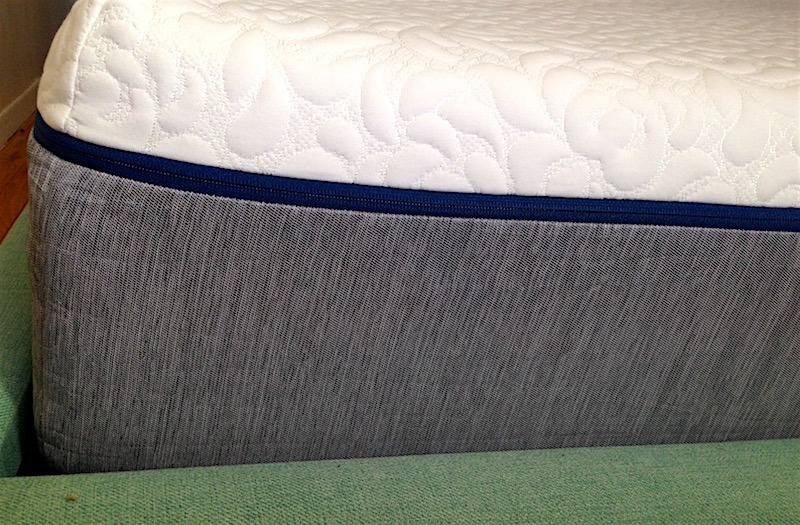 Hi Danielle – Novosbed/Loom and Leaf are both high quality mattresses. You’ll feel a difference over the cheaper memory foam mattresses day 1 (from Amazon, Overstock, etc), but you’ll really feel the difference a few years down the line. If Novosbed/L&L are in your budget, I’d definitely recommend going that route. Amerisleep is often compared to these two as well.